Hilliard, Ohio – Representatives of The Lutheran Church—Missouri Synod (LCMS), the North American Lutheran Church (NALC), and Lutheran Church–Canada (LCC) met in Hilliard, Ohio July 19-20 at the NALC offices. At the meeting, the NALC was represented by Bishop John Bradosky; Emeritus Bishop Paull Spring; Dr. James Nestingen, retired seminary professor; Rev. David Wendel, NALC Assistant to the Bishop for Ministry and Ecumenism; and Rev. Mark Chavez, NALC General Secretary. LCMS representatives were Dr. Albert B. Collver III, director of Church Relations and assistant to the LCMS President; Rev. John Pless, director of field education and assistant professor in Pastoral Ministry and Missions at Concordia Theological Seminary (Fort Wayne, Indiana); and Dr. Joel D. Lehenbauer, executive director of the LCMS Commission on Theology and Church Relations. President Robert Bugbee of LCC attended as a formal observer. One of the main focuses of the meeting was discussion of areas of practical cooperation, such as the Lutheran Malaria Initiative and disaster relief. The church bodies gave an update on recent developments within their churches. The group discussed a working agreement on Inter-Lutheran Consultation and agreed on a draft to be presented at the next meeting scheduled for December 2012. The draft identifies the goal of the consultation: “to consider ways by which our churches may work together to make Christ known, and to strengthen the Lutheran witness by word and deed in the church and community.” The draft also proposes that Lutheran Church–Canada become a full participant in the consultation. Plans were made for a series of five dialogues to be held over the next few years. 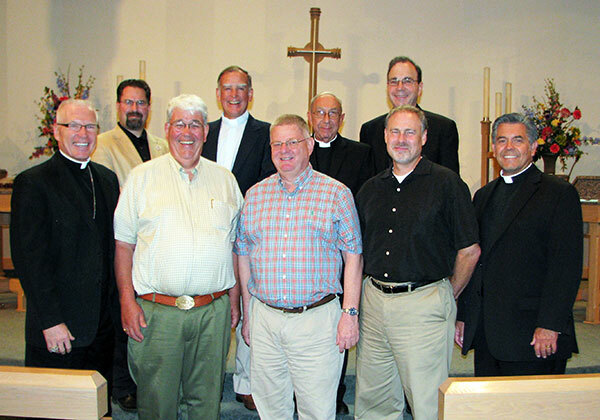 The December 2012 meeting to be held at Concordia Theological Seminary Fort Wayne will focus on the relationship between the Gospel and the Scriptures.